"The social media penetration has changed the way people live; now the same shift is happening in the way people make payments. Presently at the crowd funding stage through means of Initial Coin Offer, KahnChat is a simple solution for both social connectivity and modern style of payment which supports both Crypto Currencies and fiat currencies. Presently at the ICO stage, KahnChat, is an all inclusive solution for both social connectivity and online payment. KahnChat is designed to cover various payment services, helping it users make payments at a breeze and communicate deeper. KahnChat is a set to be registered in the U.K giving it all the necessary legal framework backup and access to a team of dedicated who a driven by the passion to create a change. 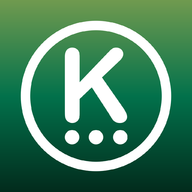 KahnChat relies on the cryptocurrency technology for fast, anonymous and secured money transfers for online purchases."